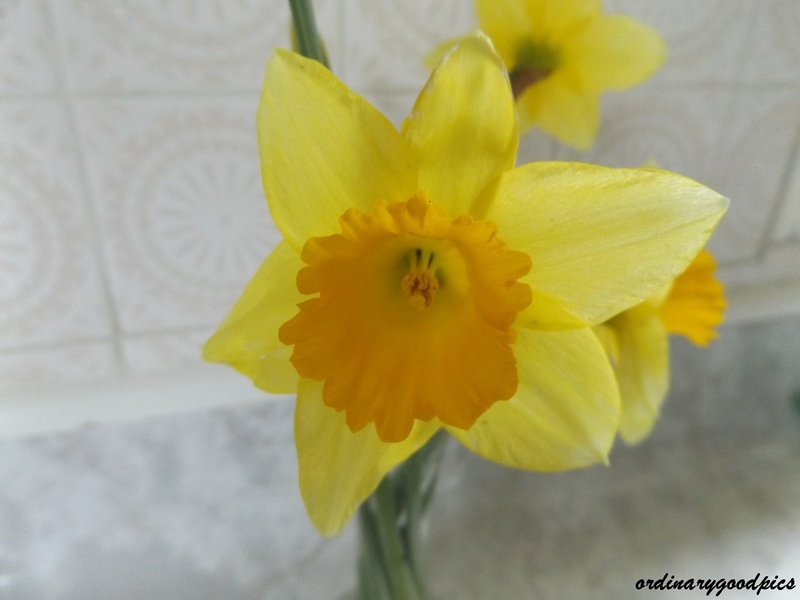 Two days of relentless gales had flattened my newly flowering daffodils. I rescued what I could and bought the flowers inside to enjoy. 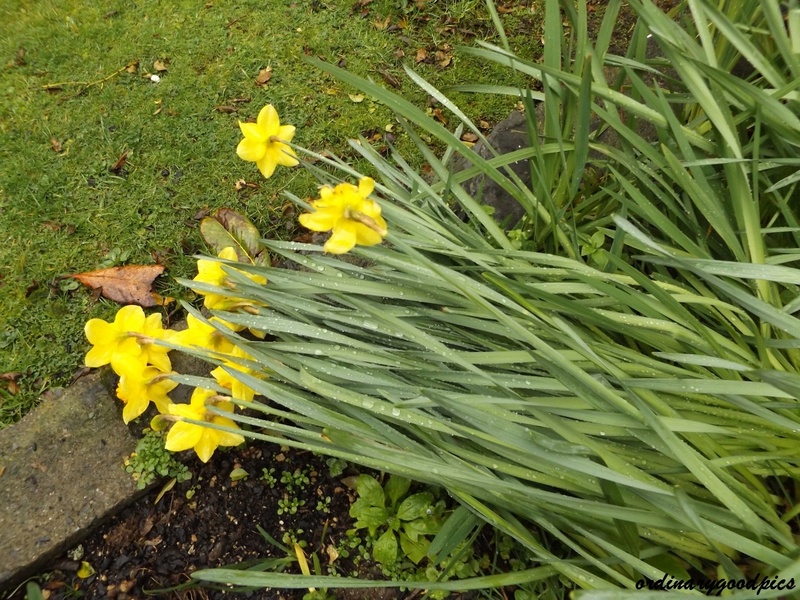 I see today that the remaining leaves and damaged flowers have almost returned to their previous height. 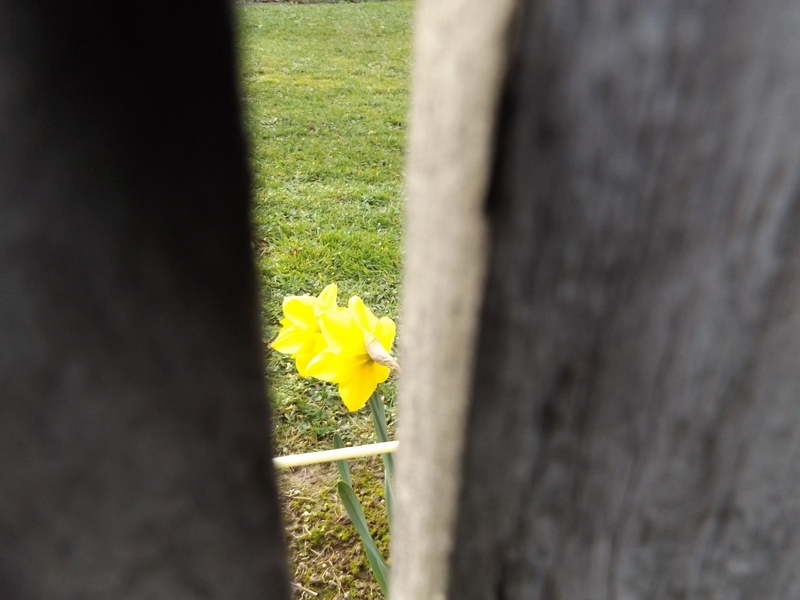 Winter is very much with us still despite these early spring flowers showing a brave face to remind us of things yet to come. 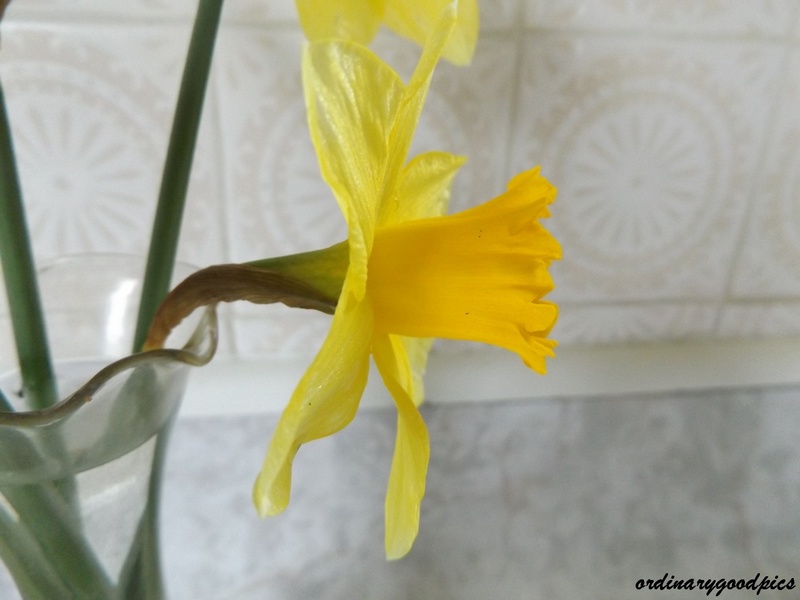 This entry was posted in Uncategorized and tagged daffodils, gales, gardens, nature, photography, plants, resilience, spring, spring bulbs, spring flowers, Winter on August 5, 2015 by ordinarygood. The weather forecast mentioned increasing cloud and rain. That all seemed to come in a little earlier than forecast so with the clouds thickening as a warning we headed out for a short stroll at Aotea Lagoon. Our timing was perfect and we enjoyed the sheltered area near the small duck pond and rose garden. No spring baby water fowl were in evidence and the stunning flowering cherry tree was still to burst forth but there were some other lovely colours to soak up and record with the camera. This Wisteria will be a mass of flower and fragrance in the next week. I suspect the colour of the flowers will deepen as more emerge. Today is wet, windy and cold again. 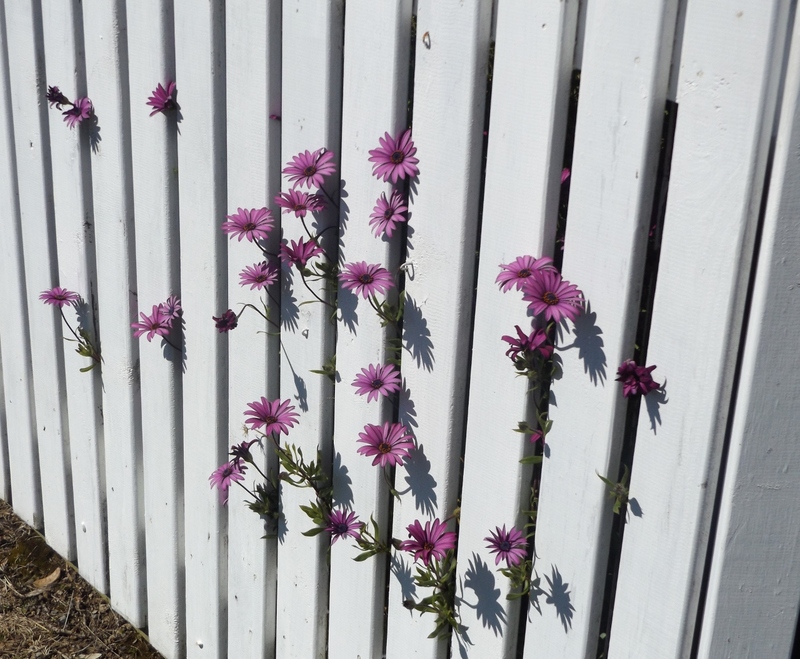 Truly spring in Wellington. This entry was posted in Uncategorized and tagged Aotea Lagoon, Iceland poppies, Kowhai trees, photography, Porirua, spring flowers, spring weather, tulips, walk, Wisteria on September 28, 2014 by ordinarygood. 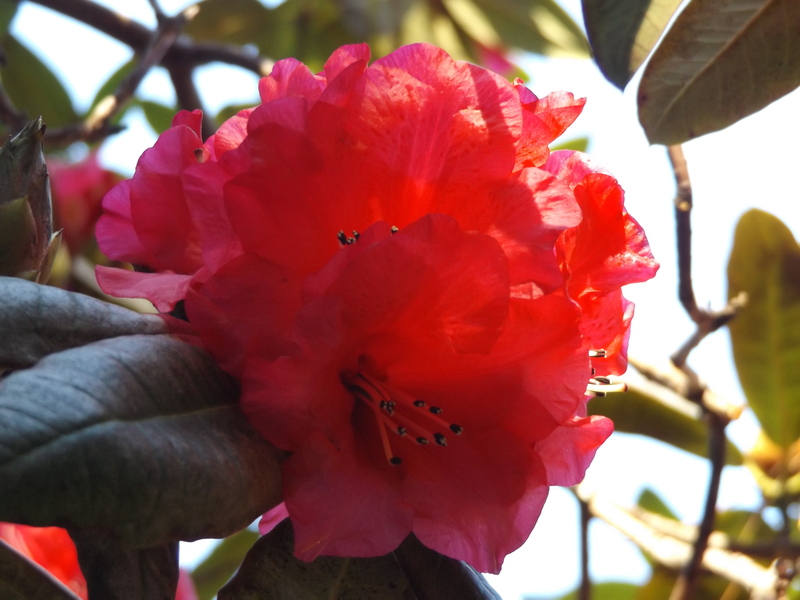 This entry was posted in Uncategorized and tagged Beauty, nature, photography, rhodendrons, spring flowers on September 3, 2014 by ordinarygood. 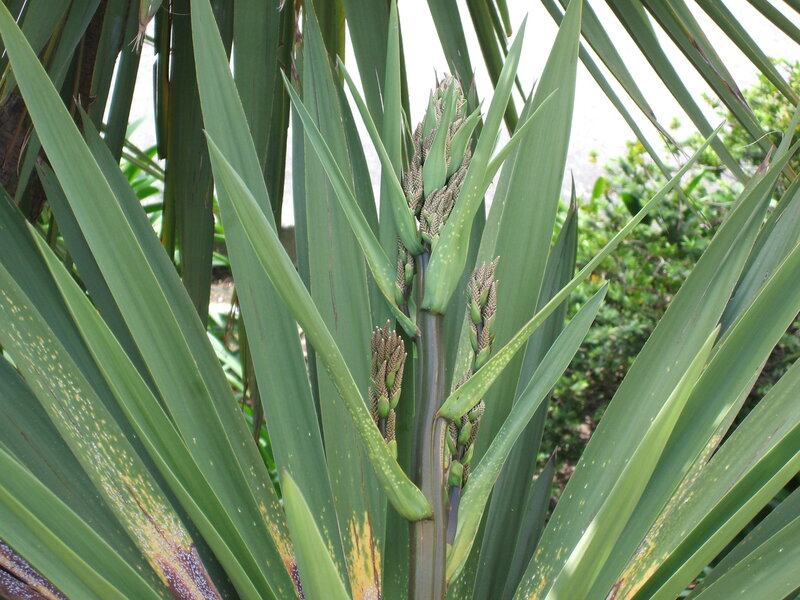 No, not a post about Cabbages, nor a post about what the Walrus said “of cabbages and kings”, but a post about our Cabbage Trees. 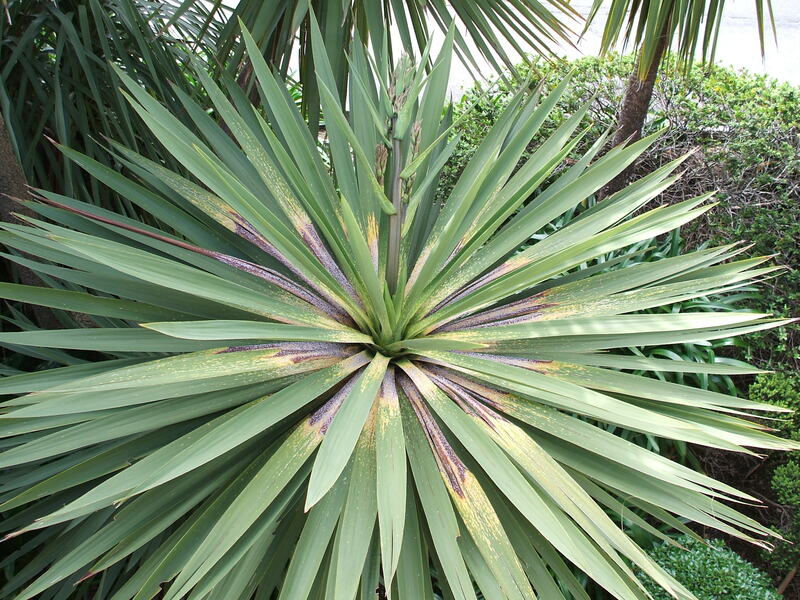 Ti Kouka in Maori, Cordyline Australis in Latin, a tree so common in New Zealand that it is easily taken for granted and overlooked. 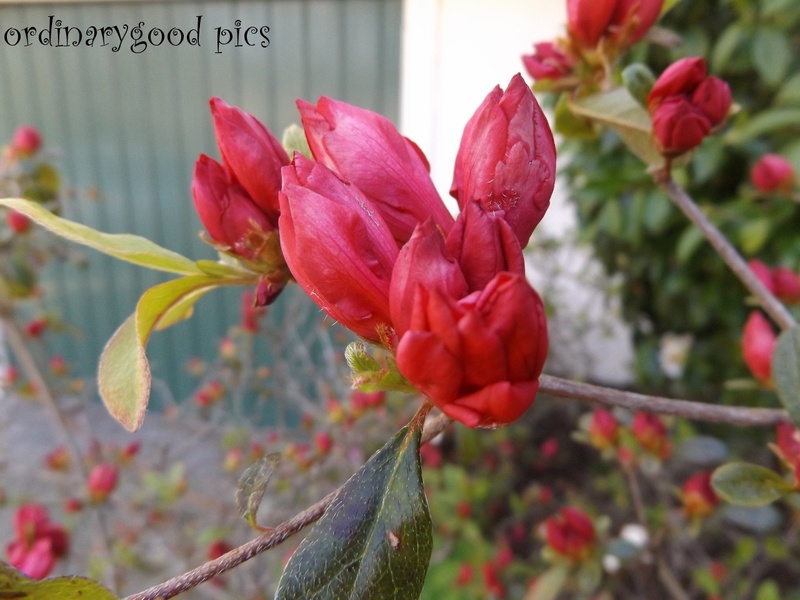 We have at least two of these trees in our garden now and as I have sat sniffling and snuffling over the past four days I have noticed flower heads emerging from our trees. 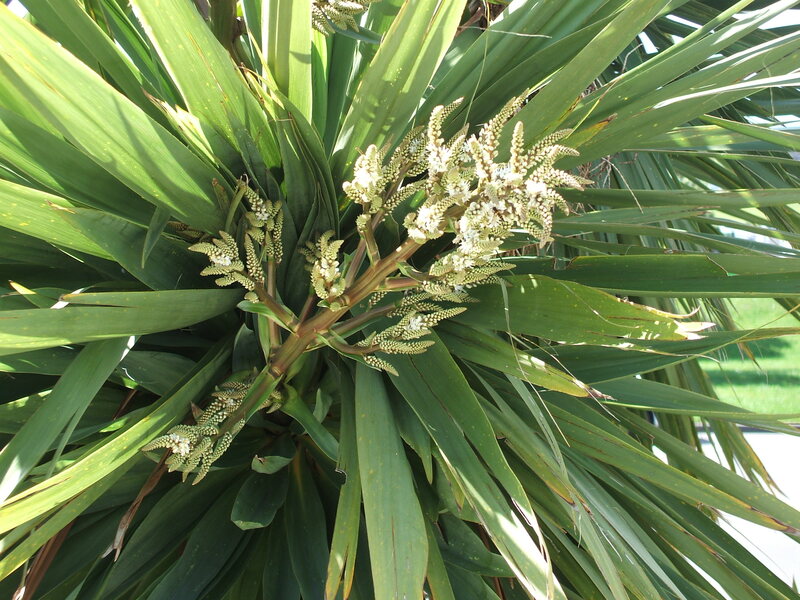 I learnt from Ruth here that Cabbage Tree flowers have a beautiful scent and on that calm afternoon on Thursday I could just smell a delicate perfume when I was out near the larger of the two trees. Keruru, New Zealand’s native wood pigeon love the flowers and seeds of these trees so I am pleased to extend our bird resort facilities further with the sight of an abundant flowering about to happen. I was further surprised to peer over the supermarket car park wall and spot this stunning sight. It is rare to look down into the head of a cabbage tree as they stand very tall, very quickly but here was a gem to cheer me on. 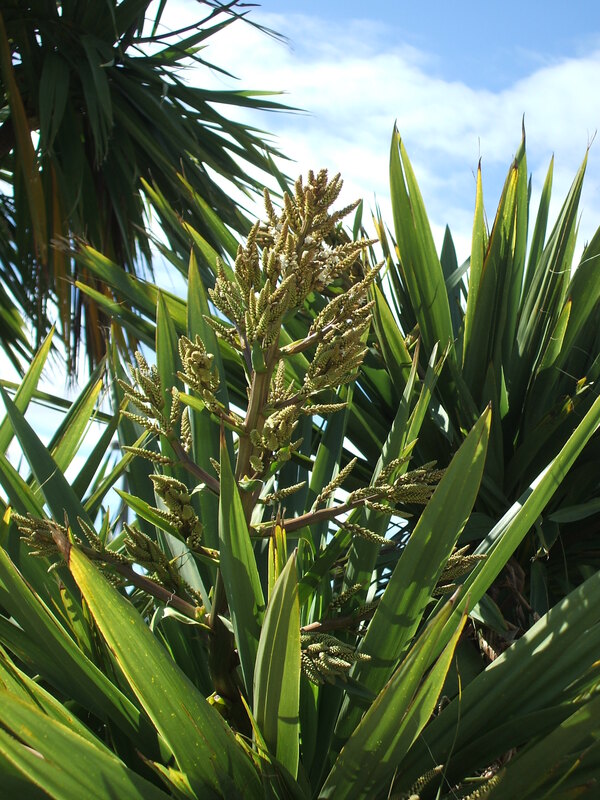 There is quite a line-up of cabbage trees below this wall and they offered me various photos of flower heads emerging and flowers blooming. Unfortunately any scent was being blown away in the spring winds. Like many of our native trees this flowering season is looking to be a boomer. 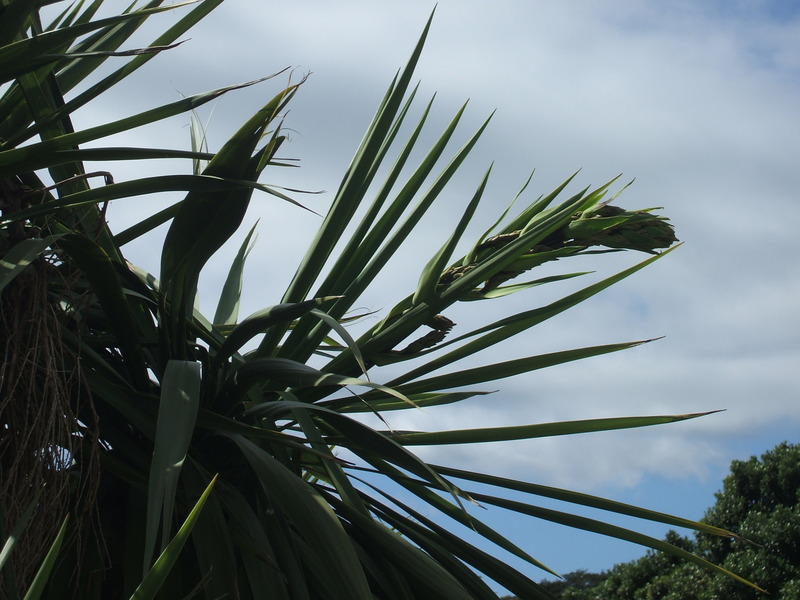 This entry was posted in Uncategorized and tagged Cabbage trees, Cordyline australis, gardens, Keruru, nature, New Zealand native trees, photography, spring flowers, Ti Kouka, trees on September 29, 2013 by ordinarygood.